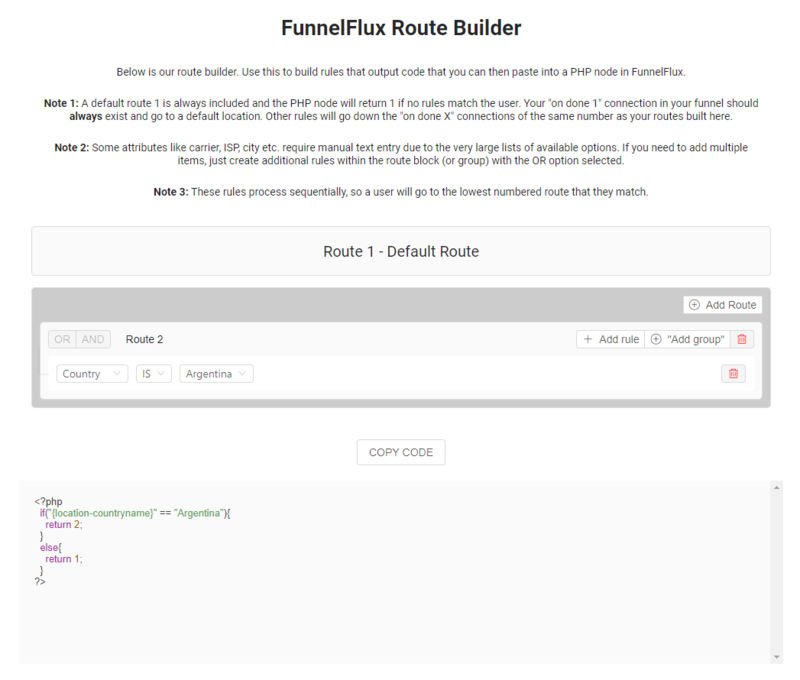 In FunnelFlux you can use PHP nodes to do advanced redirection. Compared to condition nodes, you have much more flexibility -- you can make traffic from country A go down route 1, country B/C/D go down route 2, and all others go to route 3. The downside? You have to write this in PHP. We will develop complex conditional nodes eventually but for now we wanted to give you a visual way to build these rules without needing to understand PHP. This web tool lets you build rule sets and provides the PHP code output needed. To use, simply click [copy code] then paste this into a PHP node. Connect the "on done X" connectors from the PHP node to wherever you want these to go -- route 2 will match "on done 2" and so on. Important: Route 1 is the default and has no rules applied. 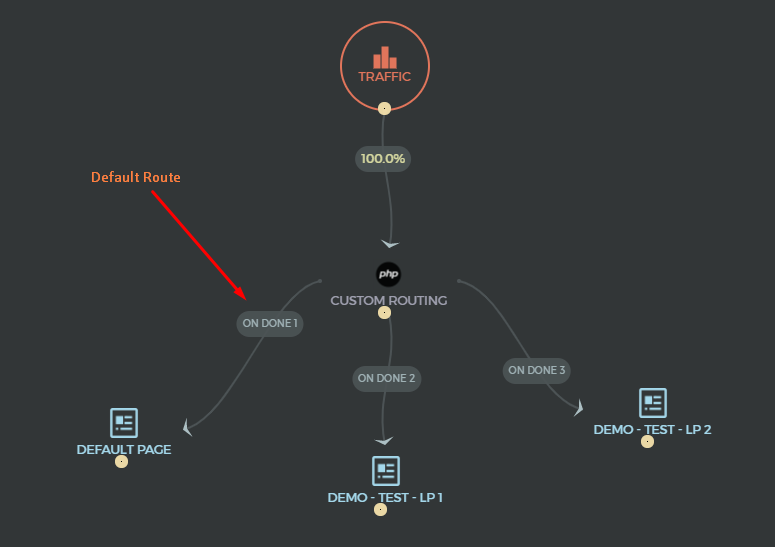 You should connect this to wherever you want traffic to go when it matches no conditions in your rule set. This is important as there must always be a default decision to return. Once again, make sure "on done 1" connects to a default destination.